We need your help! 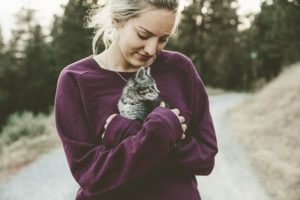 To provide our community with all of the necessary services and programs to eliminate kitty homelessness, Fearless Kitty Rescue depends on the hard work and dedication of volunteers. Are you a fearless volunteer? Volunteering is not just beneficial to FKR; it’s good for you as well! Volunteers will care for the kitties, meet new people, learn new skills, and feel great about themselves! We have a variety of jobs available and welcome anyone who is up to the challenge. Youth volunteers under the age of 18 must be accompanied by an adult. The minimum age to volunteer is 14. In addition to standard volunteer requirements and training, additional restrictions may apply to youth volunteers under 16 years old. Adoption Counseling: Help adopters find the right kitty and help kitties find the right homes. The Adoption Counseling Team (ACT) is composed of volunteers who focus on making our adoption program a success. This includes working with potential adopters and being responsible for socializing the kitties, taking photos, writing bios, and being general advocates for our felines. Kitty Caretaker: Help keep our residents’ living quarters clean, aid in feeding and watering, doing laundry, and socializing kitties. This “work” will be done at our Kittyville location in Fountain Hills. Events: Assist with event planning, event management, or event promotion to make fundraising and educational events successful. Fundraising: FKR does not receive any government funding and relies on donations and our online store to achieve its mission. 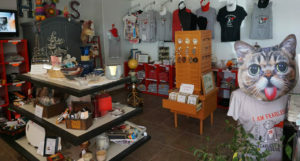 We also have a boutique where we sell great Fearless Kitty Rescue gear and cat-related items to help us keep on saving lives. Be a part of the fundraising team to help find and apply for grants or assist in fundraising campaigns. We ask that volunteers commit to a regular schedule and volunteer for a minimum of four hours per month for at least six months. Volunteers must have a genuine concern for kitty welfare consistent with FKR’s philosophy. New volunteers will be trained by existing ones. They must read, understand, and abide by FKR’s policies and procedures. To begin the process of becoming a Fearless Volunteer, simply fill out our volunteer application and return it to us. Please fill out all the required fields (marked with an * ) below, or click here to download and print out the form. What months do you reside in Arizona? If no, please provide information below for parent/guardian. Please be advised that all volunteers under the age 18 must have a parent or guardian volunteer with them at all times. If yes, for which group and in what capacity? Fearless Kitty Rescue Volunteer Form will be signed at the rescue before your orientation. 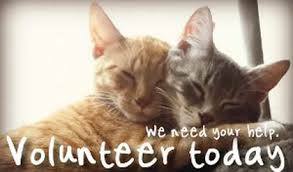 Fearless Kitty Rescue Volunteer Form will be dated at the rescue before your orientation.